Many people go trick-or-treating, watch scary movies or go to parties on Halloween, often dressed up as their favorite alter egos. But does anyone really know the origin of Halloween? 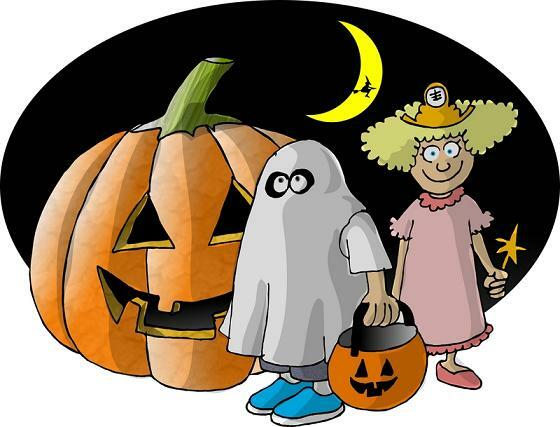 Most folks don’t think about it; they concentrate on the costumes, candy and fun! It is believed that modern Halloween evolved from an ancient Celtic festival of the dead, called Samhain (pronounced sah-WEEN), which was actually held on November 1 each year. The night before this event, on October 31, the Celts would sacrifice fruits and vegetables to ward off the dead, who were believed to be mingling with the living in greater quantities on this particular evening. They would dress up as spirits to help keep the traveling ghosts moving. As the Catholics moved into the area, they wiped out many Pagan holidays, including Samhain, in hopes that the Pagans would convert to the church. Pope Gregory III established November 1 as All Saints Day, a day to honor all Christian Saints that did not already have an observance day. Some of the people that had celebrated Samhain quietly kept it going on the day after All Saints Day. Finally, in the 9th century, the Catholics made November 2 All Souls Day, essentially squashing what was left of Samhain. All Saints Day, also known as All Hallows, (“hallowed” meaning “holy”) provided a forum for the believers of Samhain to continue to focus on the “wandering dead” the night before, dubbed All Hallows Eve by the Catholics. Over time, this night transformed into the focus on evil supernatural beings, though this was not the original purpose of the holiday. Participants still put out food and drink to offer to the spirits and often emulated them by costuming themselves in what they believed to be the spirits’ images. The name “Halloween” comes from an evolution of the name All Hallows Eve, which was eventually called Hallows Evening or Hallowe’en for short. As Hallowe’en had originally been the name of the ancient Celtic New Year’s Day before the Christians arrived, it was an unwitting hat tip to the Pagans. These days, Halloween is a night for adults and kids alike to dress up and be someone (or something) else for the evening.The tradition of handing out candy is actually a long-evolved version of the Pagan food sacrifices to the spirits. So, next time trick-or-treaters ring the doorbell, think about the long and deep history that built Halloween.